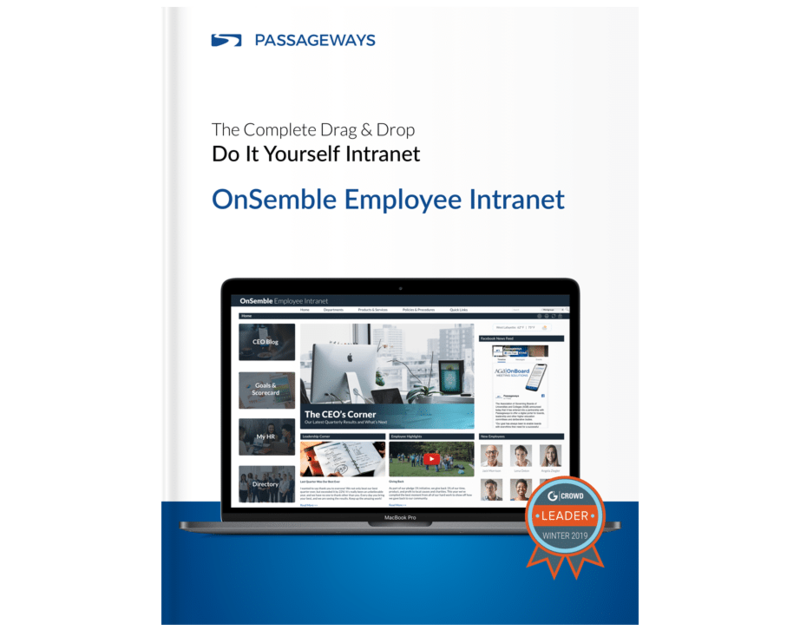 OnSemble is more than an employee intranet – it’s a complete hub that connects your people to the information they need when they need it. It’s the homepage for your organization. OnSemble’s drag and drop interface means your imagination is the only limit, design pages that reflect your culture without entering a single line of code. It’s is an intranet that your employees with love, and actually use. Creating an intranet that your employees will love and actually use demands a team who knows what they are doing. Passageways and been helping organizations conceptualize, create, and deploy employee intranets for over 15+ years. With Passageways you’re in experienced hands, we’ll help you craft an intranet that enables your team to do their best work.